When it comes to choosing the perfect tablet, there are many questions parents need the answers to. 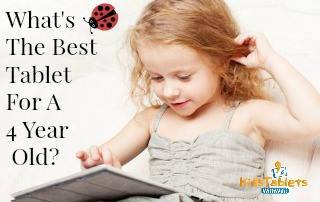 Which tablet is the best tool for their child to play and grow on? 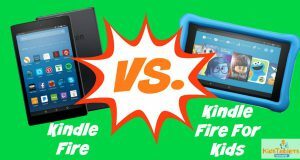 This article will compare the Kindle Fire HDX vs iPad so you can make an informed decision. These tablets are both designed for adults, but can be used as children’s toys when they are well taken care of. They also each can be placed in protective cases that are designed for little hands to hold. Each of the tablets has Internet access via Wi-Fi, and the iPad can have a plan purchased where it can access internet via 4G. The Kindle Fire HDX features parental controls, but the iPad can have settings altered to do the same thing. It should also be noted that Amazon has recently released their own specific tablet for kids. You can find more information over here. Both devices have rechargeable batteries that can be plugged in to a wall outlet or your computer using a USB cord. The HDX uses the same battery as most smart phones, and holds a charge of about 11 hours of mixed use. The iPad holds a charge for about 10 hours with the same use, and has the same battery as other Apple products. The length of a charge depends on the different styles of usage to the tablet though. The HDX is 20% lighter than the iPad and has a thicker wall around it to foster a better grip. When in children’s hands, however, both products should really be inside cases. The Kindle has a feature called “Mayday Support” where you can get help from a video streamed Amazon representative 24/7. The iPad can be insured by Apple Care for as long as you purchase the warranty for. Apple tech support can be reached by phone, Internet, or at an Apple store. The Kindle tablet has access to all of Amazon’s books, apps, and music. The iPad is home to the Apple App store and offers thousands more options of educational and interesting games, reading materials, and music selections. Both tablets begin storage at 16GB but also come in 32GB or 64GB models. The HDX come in two sizes (7 and 8.9 inches) and boasts a pixel display of 32ppi (pixels per inch) on the 7 inch and 339 on the larger screen. The iPad has a 9.7-inch screen with 264 ppi. There is a $120 price difference between the two. The question is: do you want a thinner tablet with a clearer display or an Apple product? If you are interested in the Apple iPad, your ticket price will be in the $450-$500 price range. The Kindle Fire HDX is $330. Of course both tablets can be bought at different prices depending on where you shop at and if you are interested in used products. It’s easy to see that we like the HDX over the iPad in most cases. However, when it comes to games and entertainment it’s lacking. This is obviously going to be the most important category for your children so, the question is, just how important is it to you?